The Albany Congress, held in Albany, New York in June and July of 1754, was a meeting between colonial leaders and leaders of the Iroquois tribe. During the Albany Congress, Benjamin Franklin proposed the Albany Plan. In 1754, war in North America, pitting Great Britain against France and her Indian allies, loomed on the horizon. Sensing the benefit of creating an alliance with the powerful Iroquois Confederation, British officials called for a conference between the American colonies and Iroquois leaders in Albany, New York. Representatives from seven colonies met with Iroquois leaders from June 19 through July 11, 1754 and concluded a treaty that was only moderately successful once the French and Indian War began. 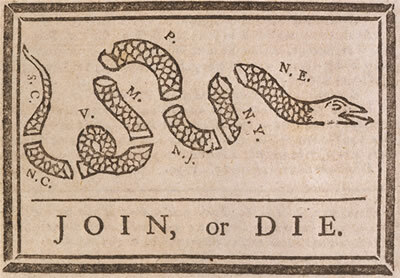 More noteworthy, was the Albany Plan of Union, proposed by Benjamin Franklin, to form a permanent federation of the colonies, as a means to reform colonial-imperial relations, and to more effectively address shared colonial interests. Introduced on June 19, the commissioners adopted a final version of the plan on July 10. Despite the support of those who attended the Albany Congress, the Albany Plan of Union was rejected by King George II and by all of the individual colonial governments that considered its adoption. The Congress and the plan were significant milestones, however, as they marked the first official attempts to develop inter-colonial cooperation among the American colonies.